this is their weakest effort, but i've started to enjoy it after many listens. it grows. 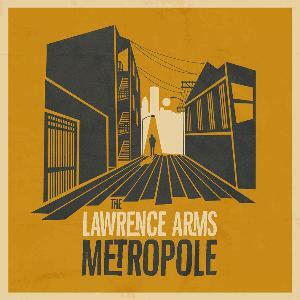 First two songs "You Are Here" and "Seventeener" sound like "The Greatest Story Ever Told", which is my favorite album of The Lawrence Arms. But I dont really like the voice of Brendan on this. It sounds like he is on speed and that doesnt fit into this autotune-stuff, although it could. Dont get me wrong, like I would always listen to autotuned music, but on "TGSET" it sounds amazing. So now I got to say, when I listen to the first parts of "Metropole" it seems to combine the fantastic sound of "TGSET" and a voice of Brendan, which perfectly fits into this special sound. In case the whole album will be like this, it's going to be a 5.